Osceola County Parks Department designed and sent out the Shingle Creek Park Nature Walk project for bid. 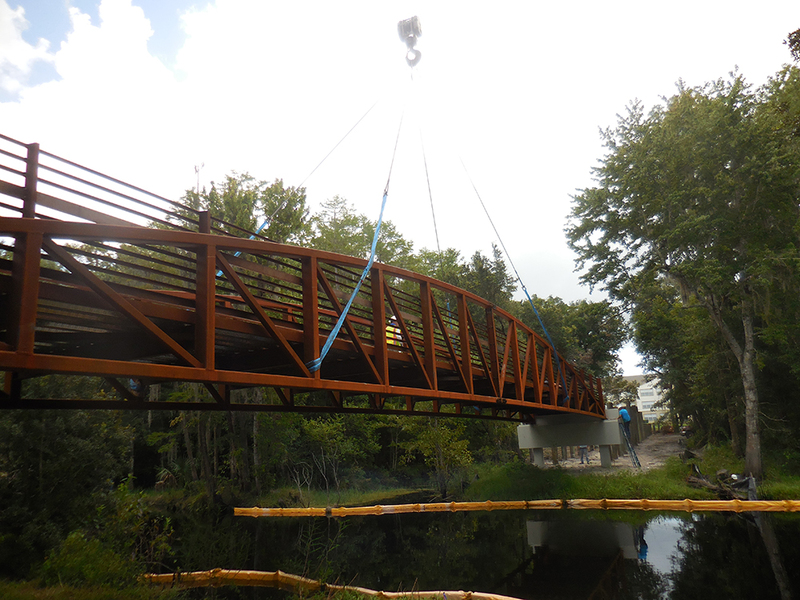 The General Contractor selected Fender Marine Construction as the Marine Contractor to perform the work of building the clear span steel bridge. 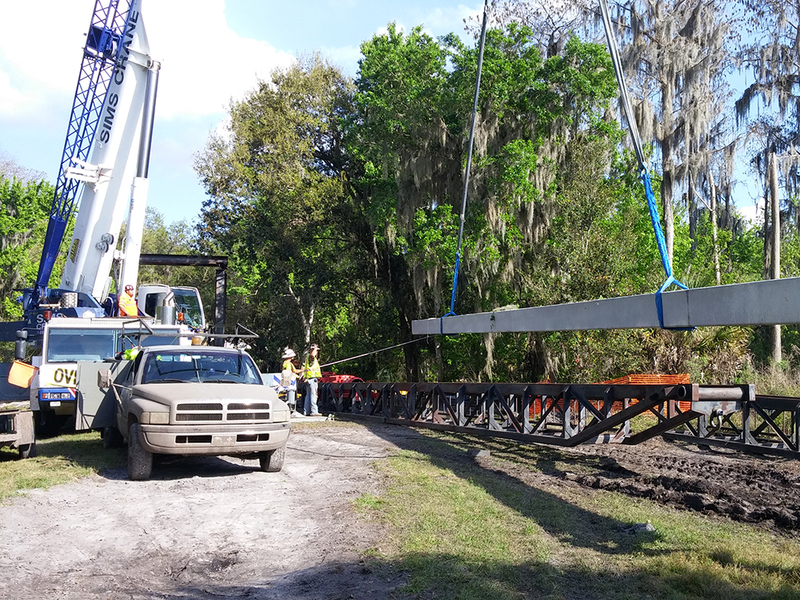 Fender Marine, located in Central Florida, was responsible for driving the concrete piling on each side of Shingle Creek in order to support the concrete bridge abutment. Next Fender Marine’s team of concrete form carpenters formed and poured the steel reinforced concrete bridge abutment. 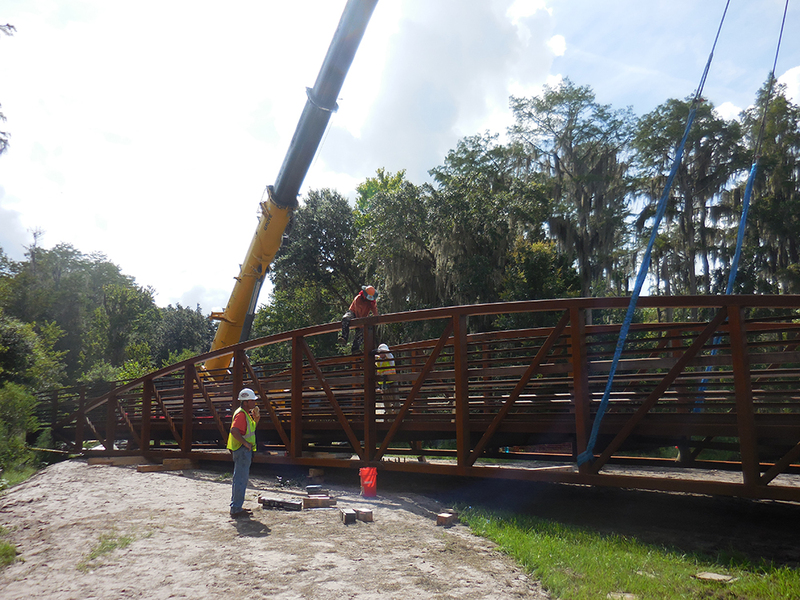 Then the new Corten steel pedestrian bridge was installed using a large land based crane from one side of Shingle Creek. After the pedestrian bridge was placed, a concrete walk was poured onto the steel deck on the bridge. Then a pedestrian wooden boardwalk was connected to the bridge. Osceola County was very happy with our work and we welcome potential Fender Marine Construction’s customers to visit the project that is now open.